There was never a time when I said “Okay, I’m going into business for myself.” It just kinda happened. Little Things Studio grew from something very very VERY little. But if there was a defining moment of “I should pursue this. 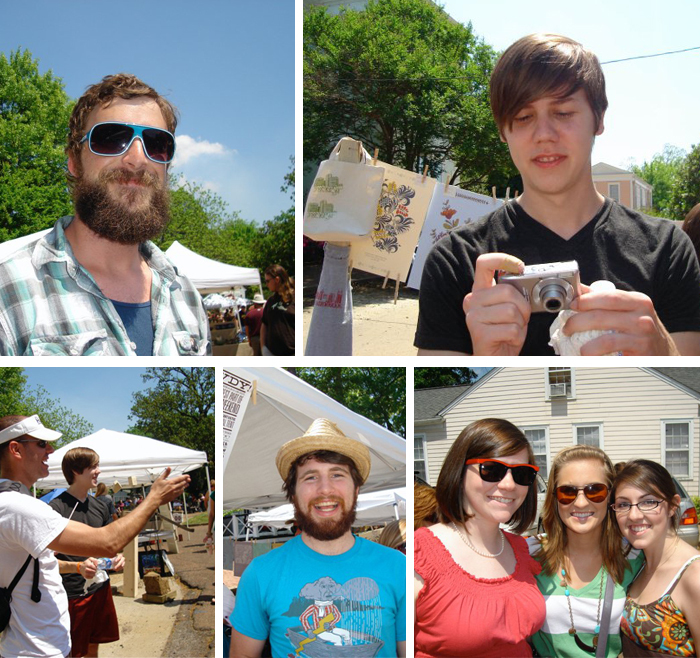 This is awesome,” then the Cotton District Arts Festival April 2010 was IT. Three school friends of mine split booth fees and setup a space. (Carl Carbonell, Mary Katherine Blackwell, and Lauren Buntin) My parents had a tent because they would tailgate at football games. We strung rope from sides of the tent and used clothespins to hang work. I had NO business cards and NO bags! I wrote on scraps of paper my email address for people because they wanted to buy more! And the crazy thing to me was that I sold OUT of some prints!!!! I can’t emphasize to you enough that I did not know what I was doing. But I knew I loved doing it. I’m saving 10-15 scarves to debut at Cotton District. I’m not putting them online (and some of them I really want to keep!!!) because Starkville is important to me. I wish I had time to make more work, but I kinda have a wedding to plan and prior commitments on work. This weekend will be very special for me. Dave and I are taking engagement photos on Friday night. Then a ton of our friends are coming into town so it’s going to be a huge reunion! For those going to Cotton District, I’ll be across the street from Bulldog Deli. And of course my favorite booth helper Dave will be with me. Love this pic with my mom on my right telling me something and my old boss, dear friend, big time support of LTS, Sally Hester. Were you there my first year at Cotton District??? If so, do you remember anything? I am so excited for you, Kate! You are doing so very well. I know things have been crazy hectic for you, but soon you will be married to your best friend and life will be a whole new kind of wonderful!